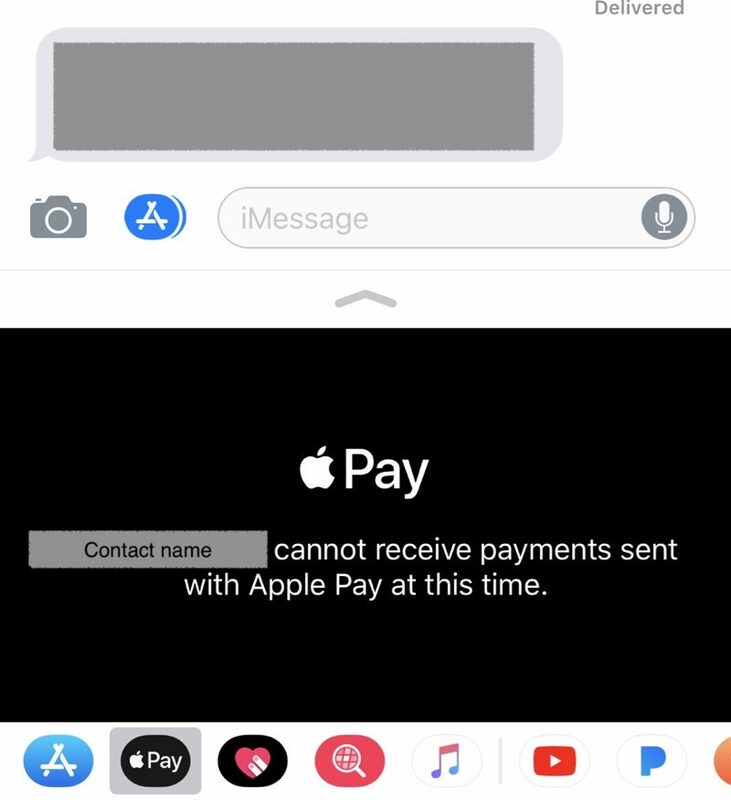 Apple corporate employees in the United States are testing Apple's upcoming person-to-person Apple Pay feature internally in the iOS 11.1 update, suggesting the Apple Pay improvements could indeed be introduced in iOS 11.1. Employees first began testing the Apple Pay Cash last week, but many were only able to access the feature starting today. MacRumors forum member Chuck SaaS was in touch with an Apple employee who is testing the feature using iOS 11.1 and a device certificate that was distributed internally by Apple. Employee testers are required to download iOS 11.1, install an additional internal-only beta profile, and have their Apple IDs white listed to access Apple Pay Cash. He shared two screenshots, one of the setup process and one of an attempt the employee made at sending money to him on the iOS 11.1 beta. The transfer didn't work as both devices need support for the new Apple Pay feature. Apple is encouraging employees to test the feature among themselves. Apple Pay Cash works through the Messages app and allows for quick person-to-person money transfers, much like Square Cash and other competing services. It's available as a built-in Messages app, with cash transferred through iMessages. When sending cash, it can be sent from a linked debit or credit card, while received cash is stored in an Apple Pay Cash card in Wallet that can be used for purchases or sent to a bank account. Sending cash through a credit card incurs a 3% fee, while sending cash from a debit card is free. 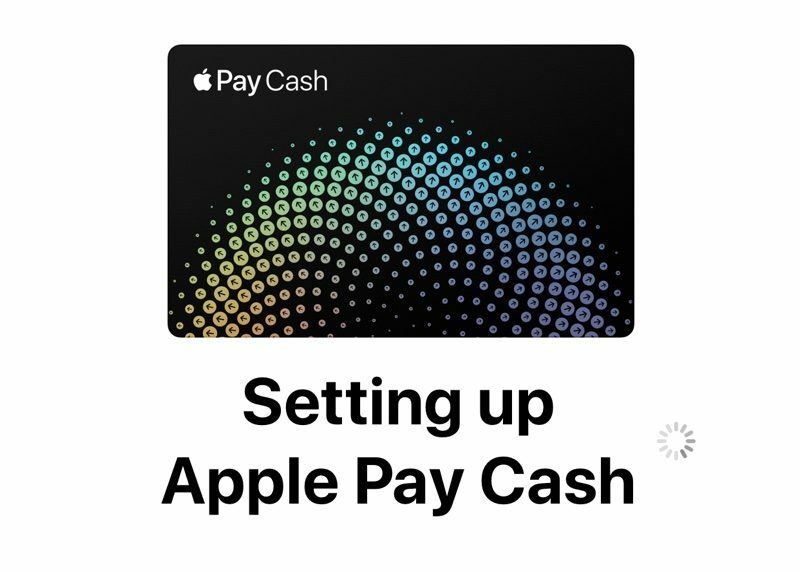 As has been previously revealed, the Apple Pay Cash card available in Wallet is being made available through a partnership with Green Dot, a company that offers prepaid payment cards. Person-to-person Apple Pay was first announced as an iOS 11 feature at the Worldwide Developers Conference in June, but it was not implemented in any of the iOS 11 betas and towards the end of the testing period, Apple confirmed it would be introduced in a future update. There is no sign of Apple Pay Cash in the first iOS 11.1 beta that was seeded to developers last week, but if employees are testing it internally in iOS 11.1, it could be added in a future beta or simply released when iOS 11.1 is made available to the public. Given that we've only had one beta of iOS 11.1 so far, it's not clear when the update will see a public launch. This is hardly a rumor. I guess it fits with news. But there's more and more of these posts that blatantly look like Apple buying advertising space in the form of arranged posts. It doesn't leak any new concepts... it just states "it's coming soon" by a source within the company (legally?) giving screenshots. Dude, if the website just posted “leaked new concepts” it would be a ghost town. Cheer up. * why not just talk about this at the october event? everyone has forgotten by now. Huh? They aren't talking about it now. Also, there may very well not be an Oct/Nov event. They've already semi-introduced the iMac Pro and Siri Speaker and they could get away with just releasing them. Unfortunately, this is never going to be cross platform. I know way more people with iPhones than I know with square cash. Then If I want to quickly send money I don't have to tell them to download the app and setup an account, send me the username or what info is used to make an payment. I can just open a text and send it. Facebook messenger is easier Square Cash. And with Apple Pay you can transfer it into an checking account and not have to use Apple Pay at a store. Correct. Venmo and Square Cash is also 3% for credit cards. That’s pretty much the standard across the board. Sorry, I don't pay fees. So guess I'll check out the debit part of this when it makes way to Canada. I assume you don’t use credit cards either? What I really want to know is if this will be as safe as cash for things like Craigslist sales of iPhones? Will there be chargebacks? Or, can there be a case where the money goes back to the sender?